According to NYT writer Mat Bai, "The left would prefer not to believe that modern American liberalism, defined by an unshakable faith in the social justice and antiwar movements, derived from a martyred hero whose commitment to both causes was, in fact, considerably more nuanced." Actually, that's exactly what we do believe and want the rest of the world to understand. Yes, modern American liberalism does have its roots in social justice and the anti-Vietnam war movement but it is not DEFINED by these two and only those two causes. The Left is not now, nor has it ever been 100% committed to always being anti-war in all circumstances. There's much more to us than that. 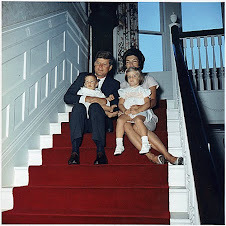 There was much more to JFK too. 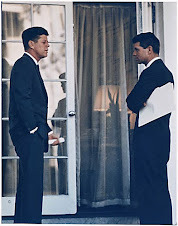 JFK was not a "Cold Warrior," period stop, nor was he a committed anti-war Liberal, period stop. 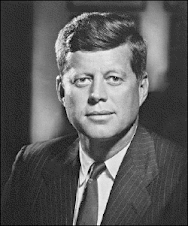 Bai writes, "Kennedy would turn out to be the last Democratic president of the era who demonstrated an obvious comfort with war and foreign policy." But, what exactly does that mean? Comfort with war? Comfort? 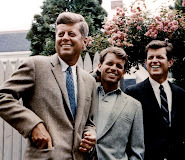 JFK did not think of war like it was a rocking chair, or an old sweater. He was horrified of nuclear war. That's why he pushed for a Nuclear Test Ban treaty. But, he was not afraid to use American armed forces. People blame him for the Bay of Pigs failure because he didn't send in the Air Force or the Marines. However, everyone forgets he sent an entire tank division into East Germany to defend Berlin from Khrushchev's aggressive moves to force the armed forces of the Western allies to withdraw from West Berlin. Look up an old map of where the boundary of West and East Germany was. Now look at how far that was from Berlin. There could have been a lot of shooting, and perhaps a war long before the U.S. tanks got to Berlin.